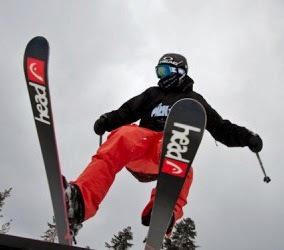 The North Face Park and Pipe Series will be at Heavenly March 13-15. This skiing slopestyle competition will be held on the “Ante Up Terrain Park”. Everyone over the age of 14 is welcome to register and compete. Amateurs can compete alongside pros. This is a “grassroots pipeline” for athletes hoping to develop their skills and eventually qualify for top-tier competitions like Grand Prix events and X Games. Locals David Wise and Maddie Bowman have competed in this series. The North Face Park and Pipe Series opened at Copper Mountain in December of last year. The second stop was Whistler and the third stop will be Stratton, Vermont on February 20-22. Heavenly is the final stop on the series. Registration for the Heavenly event will open Tuesday, February 25th, 10AM MST, on thenorthfaceppos.com website.